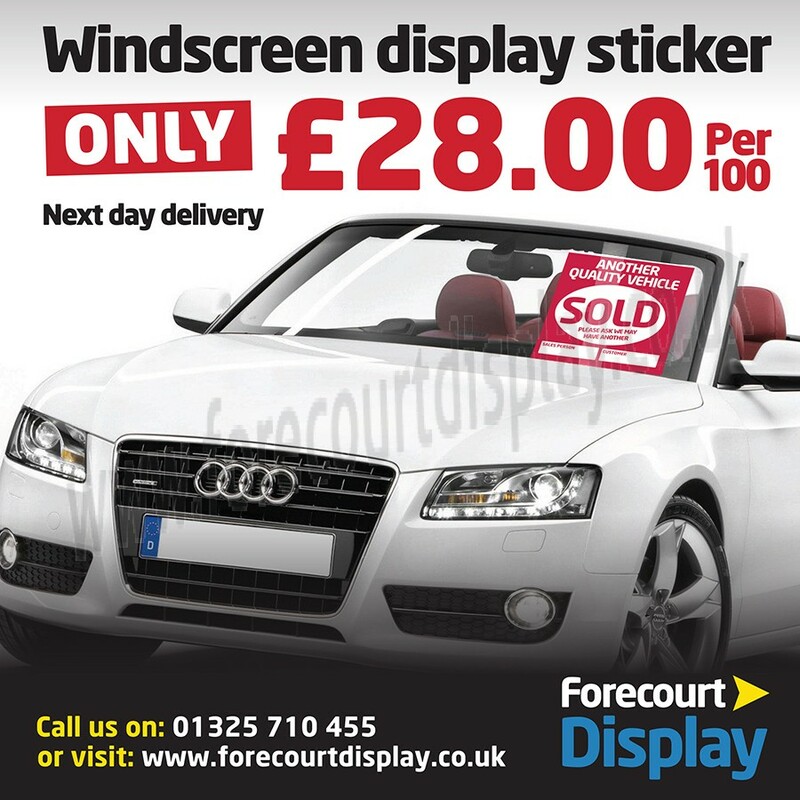 "Sold" Windscreen stickers 220 x 220 mm printed red. 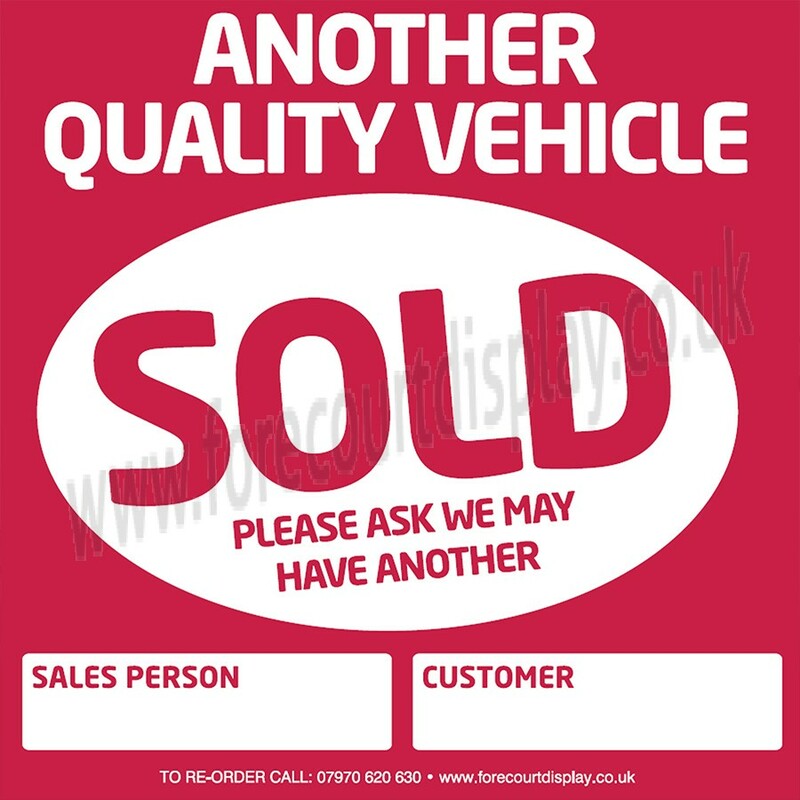 A must have for all busy forecourts, lets everyone know the vehicle is sold. Also has a space to write the customers & the salespersons name.